A day in Pompe - my "mystery" illness, now solved! HALF PINTS SPECTACULAR DREAMER "Basil"
This is Basil. He is our only foal for this season so we are delighted he has finally arrived! 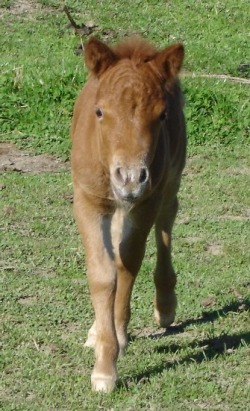 Basil will make a lovely show colt/gelding. He has great *cuddle factor*! He has a beautiful dishy face. I think he will go between dark red chestnut and liver chestnut depending on the time of the year, just like his mum does. Therefore he should do really well in colour classes at the shows!